Edwin A. Heisler is a director of the firm. His practice includes the resolution of tax controversies with the IRS, estate planning, probate administration and litigation. Over the past several years, Ed has brought numerous complicated tax controversies to a successful conclusion in the IRS Appeals Office or while cases are pending in the United States Tax Court. In addition, Ed's practice includes business organizations and tax planning. Ed served as a member of the Maine Board of Tax Appeals from 2012 through 2017. This is an independent board that provides Maine taxpayers with a system of resolving controversies with Maine Revenue Services. It does not hear federal controversies. Following graduation from Tufts University, Ed served as a naval officer on aircraft carriers before entering law school. 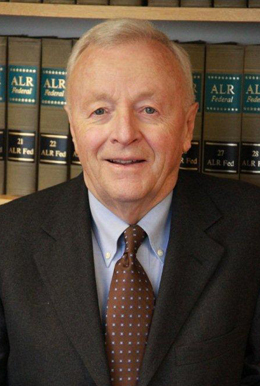 Ed is a member of the Maine Bar Association (past Board member), American Bar Association, and the Maine Estate Planning Council (past President). Ed resides in Falmouth, Maine. He has two children and three grandchildren.